My latest project started performances last week at the Connecticut Repertory Theatre in Storrs, CT. IF WE WERE BIRDS by Erin Shields and directed by Helene Kvale is a re-telling of the story of Procne and Philomela, two sisters and princesses of Athens. After Procne is married to Tereus of Thrace, he captures and assaults Philomela. After taking revenge on Tereus, the sisters and he are transformed by the gods into birds. This telling of the story threads in tales of modern-day women who were assaulted in contemporary wars and genocides. It’s both beautiful and harrowing. Performances run through Sunday, April 7th. Tickets and more info can be found here. My latest project started performances on Thursday, February 28th, at the Connecticut Repertory Theatre in Storrs, CT. THE MYSTERY OF EDWIN DROOD by Rupert Holmes and directed by Paul Mullins runs through Sunday, March 10th. It’s a delightfully light-hearted whodunnit musical based on Charles Dickens’ last, unfinished novel. What was his intention for the character of Edwin Drood? Was he in fact murdered? And who did it? You, the audience, gets to decide based on clues dropped throughout the night. Tickets and more info available here. My next project starts previews at the Cleveland Play House tonight. 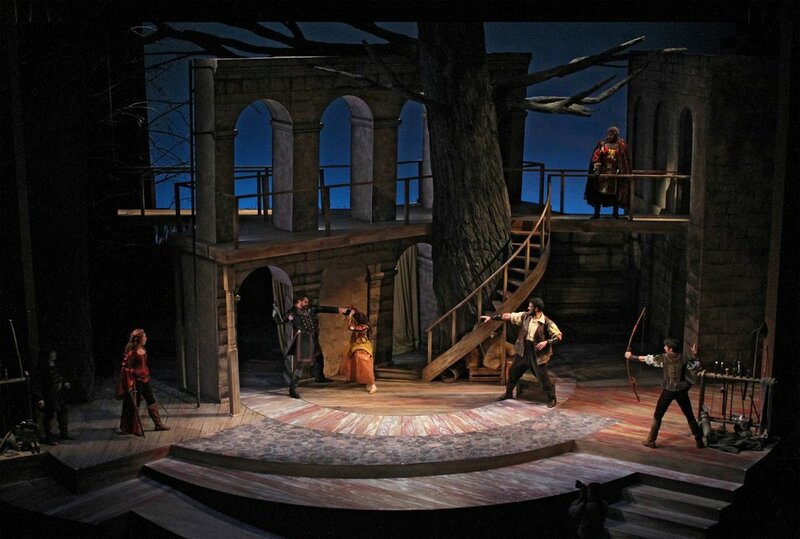 The play is Ken Ludwig’s Sherwood: The Adventures of Robin Hood, and it’s directed by Adam Immerwahr. It’s a light-hearted, action-packed telling of the myth with loads of accents - including accents of Nottinghamshire. The cast is wonderful, and the design is lush. If you’re near Cleveland, don’t miss it! Performances run through February 24th. More info and tickets are available here. My next project is A Civil War Christmas by Paula Vogel and directed by Elizabeth VanDyke at the Connecticut Repertory Theatre in Storrs, CT. The play takes place on Christmas Eve, 1864, and follows the lives of many historical figures - and some invented - over the course of that one day. There are many different characters, and, as such, many different voices in the play - from Abraham Lincoln to John Wilkes Booth to Elizabeth Keckley to James Wormley. Performances run November 29th through December 9th. Tickets and more info here. I coached two shows that opened last week. The first is GOOD CHILDREN by Tracy Thorne and directed by Michael Bradford at the Connecticut Repertory Theatre. It’s a new play that takes place in a world where language is dangerous and secrets abound. People disappear, and no one can do anything about it. The production runs through November 4th, and more information is here. The second is CHARLEY’S AUNT by Brandon Thomas and directed by Joseph Discher at the Shakespeare Theatre of New Jersey. It’s a beautiful production of this rarely produced British farce - and the upper-crust RP accents contribute greatly to the hilarity! It runs through November 18th, and more information is here. DRACULA, adapted and directed by Charles Morey, opened at Centenary Stage Company in Hackettstown, NJ, on October 12th. It was great fun getting to work on Romanian-accented English again, and the production offers plenty of grisly, gasp-worthy moments. It’s perfect for this time of year. Performances run through October 28th, and tickets are available here. This week, I started a new job as Assistant Professor of Voice and Speech at the University of Connecticut (UConn). I am teaching in the MFA and BFA Acting Programs there, as well as coaching productions at the Connecticut Repertory Theatre. I'm excited to join this wonderful community of artists! Long Lost John: A Lennon Family Story written and directed by Ed Zareh opened last night as part of the Broadway Bound Theatre Festival. The play tells a story of John Lennon's early life, exploring his relationship with his mother, Julia, and follows him through his first encounters with Paul McCartney. I coached the Liverpool accents and had a great time! There are two more performances: August 6th at 8:30pm and August 11th at 1:30pm. All performances are at the Theater at the 14th Street YMCA in NYC. Tomorrow The Wolves by Sarah DeLappe opens at the Penn State Downtown Theatre. I directed this production and had the honor of working with several student and faculty designers on the creative team. The cast of student actors is doing detailed and precise work. I'm really proud of the production (and delighted to have unearthed my high school soccer skills in the process). Performances are March 27th and 29th at 7:30pm and March 31st at 2pm. More info and tickets here. Tonight will bring the last performances of White Horse Theater Company's production of the rarely produced Tennessee Williams play, A Cavalier for Milady. The WHTC production is directed by Producing Artistic Director Cyndy A. Marion at The Players in NYC. I coached Mid-Atlantic, Queens, and Russian accents for the play, which has some secrets in it that I won't give away here. Tickets are available here for tonight's performances at 7 and 9:30pm. 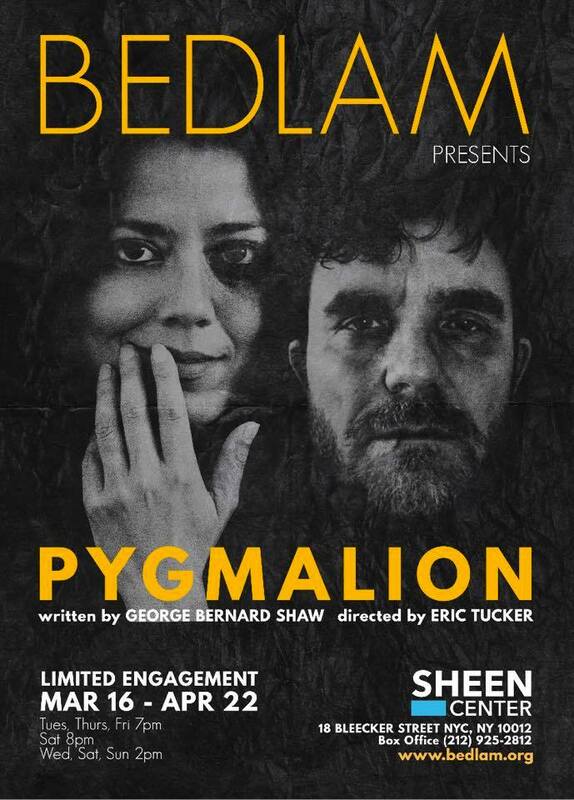 My next project starts previews on February 5th at the Woolly Mammoth Theatre Company in Washington, D.C. The play is Familiar by Danai Gurira, and this production is directed by Adam Immerwahr. It's about a family who has emigrated from Zimbabwe to Minnesota, and now one of the adult children who has grown up in the States is marrying a white American man. There is Shona-accented English in the play, as well as some Shona language. There are two native Shona speakers working on the production, and we were able to work together to describe the sounds of the language and the accented English. It's been a thrilling process, and it's a wonderful play! Performances run at Woolly (641 D. St. NW, Washington, D.C.) February 5th through March 4th, and tickets are available here. Last night, Argonautika by Mary Zimmerman and directed by Steve Snyder opened at Penn State. It's an ambitious, stimulating telling of the myth of Jason and the Golden Fleece. I served as Voice and Text coach on the production. Performances continue at the Pavilion Theatre through November 3rd. Tickets and more info here. This week, I went up to Poughkeepsie to do some dialect coaching for New York Stage and Film. The play is GOOD MEN WANTED by Kevin Armento and directed by Jaki Bradley. It takes place during the Civil War (sort of) and follows the journeys of several women who, for various reasons, disguise themselves as men in order to enlist and fight in the war. It's a powerful and engaging new play, and I had a wonderful time working with some of the cast on these historical accents. Performances run July 20-30 in the Powerhouse Theater on the Vassar College Campus in Poughkeepsie, NY. More info and tickets available here. And here's a snap shot from the train ride along the Hudson - always beautiful. My next project opens at the Toronto Fringe Festival next week. White Horse Theater Company will bring the second production of YOU ARE PERFECT by Cyndy A. Marion to Canada July 7-15. This production is directed by Rhys J. McClelland, and I again helped with the accents. Take a journey into the mind and memory of Susan Atkins. Tickets and more info here.